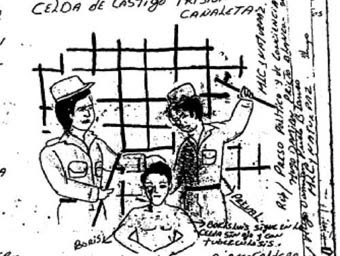 Drawings of tortures against political prisoner Hugo Damián Prieto Blanco at the Canaleta Prison in the Ciego de Avila Province in Cuba. This is a replica of the cell where political prisoner Dr. Oscar Elias Biscet is confined for 25 years at the Combinado del Este Prison in East Havana. 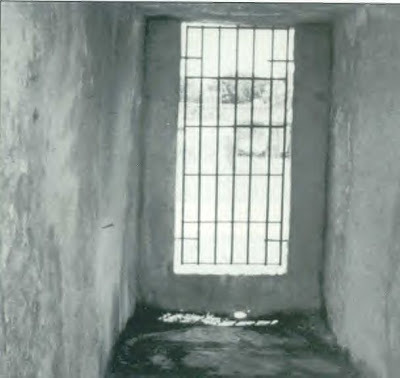 A typical cell from 'El Morro Castle Prison' where tens of thousdans of political prisoners were confined during the 1960s and 1970s. 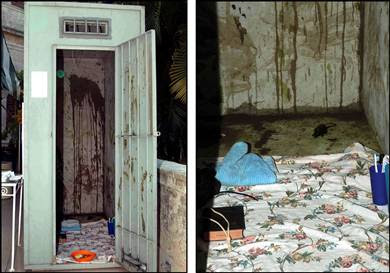 "The infamous mud-wall cells (celdas tapiadas) at Combinado del Este Prison in East Havana, where hundreds of political prisoners are still being tortured and held in complete isolation." 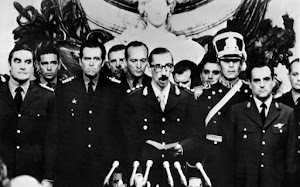 This type of cell is known as 'La Gaveta'/The Drawer. 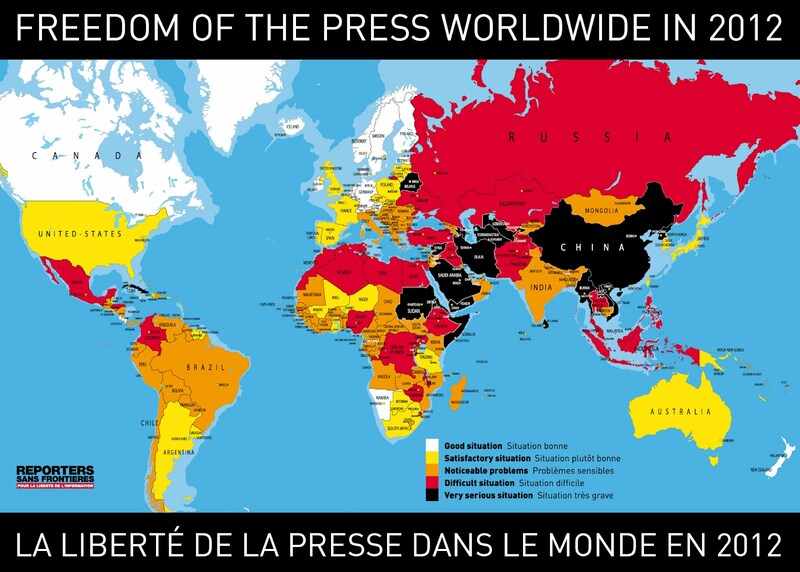 Political prisoners are confined here for extended and brutal periods. The dimensions of the cell force them to lie down all the time. 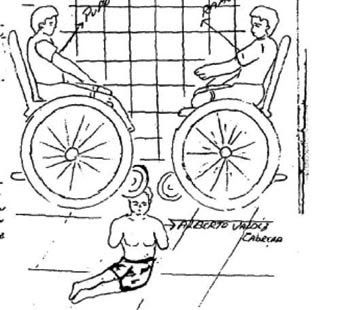 Prisoners cannot stand up as the ceiling is too low. 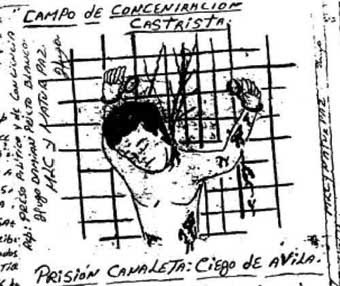 La Gaveta in the Manzanillo Prison. "Between 10 and 15 political prisoners were kept in cells like these for six or more months.The space between the small wall and the back of the cell was used by the prisoners to defecate and urinate since there were no toilet facilities in these cells." 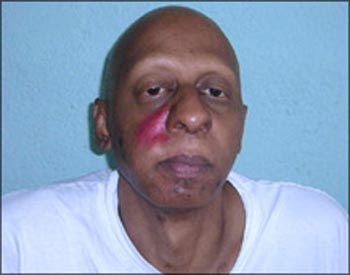 Guillermo Fariñas, a Cuban independent journalist, brutally beaten by the Cuban state security police for demanding Cubans' free access to the Internet. 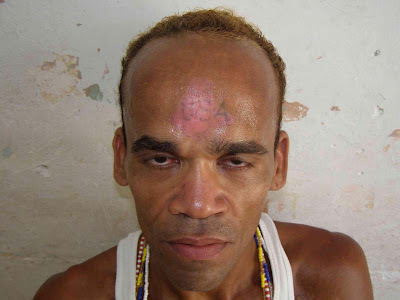 Yuri Martinez Sanchez had a tattoo that said 'USA' on his forehead. 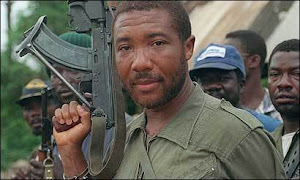 In retaliation Cuban authorities forcefully burned the tattoo in cold blood. 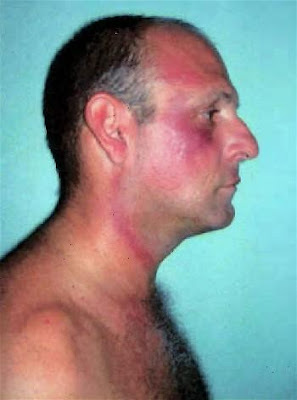 Dr. Aldo Consuegra Martínez brutally beaten by Castro's organized paramilitary group just for expressing his desire to leave the country.